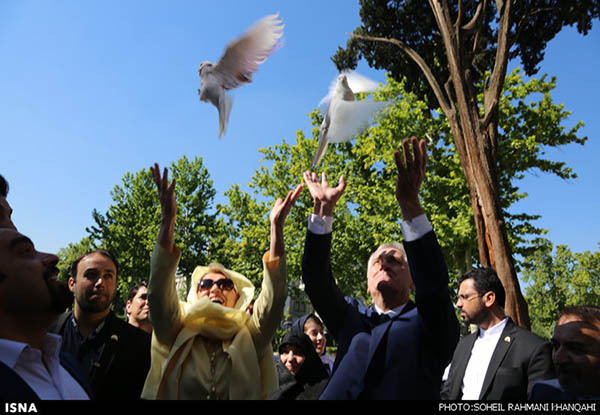 President of Serbia Tomislav Nikolić, during a visit to the historical complex of Golestan Palace in the Iranian capital, released several pigeons as a symbol of peace in commemoration of April 18, the International Day for Monuments and Sites. The International Day for Monuments and Sites (World Heritage Day) is marked annually on April 18 around the world with different activities, including visits to monuments and heritage sites. 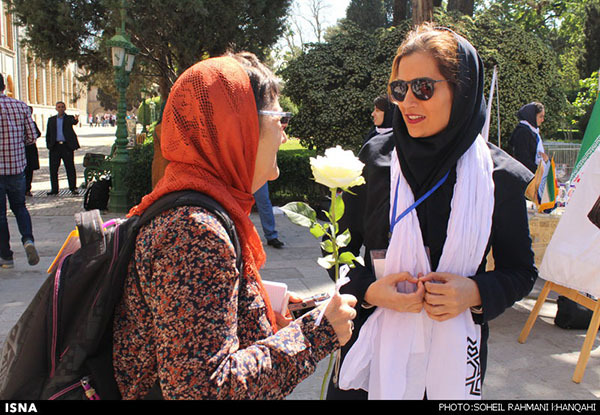 According to a report by the Iranian Students’ News Agency (ISNA), this year, a group of Iranian social activists and tourism students gathered at Golestan Palace [literally the Roseland Palace] in Tehran to convey a message of peace. 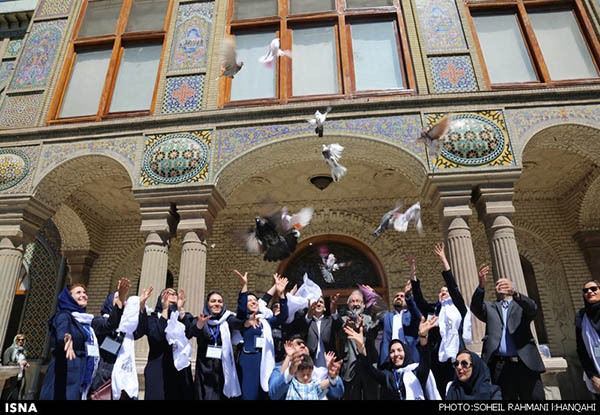 Nikolić, who is in Tehran on an unofficial trip, accompanied the group of activists and students, mostly from Tehran’s Allameh Tabatabei University, and released 19 white pigeons as a symbol of the 19 Iranian properties inscribed on the United Nations Educational, Scientific and Cultural Organization (UNESCO) World Heritage List. 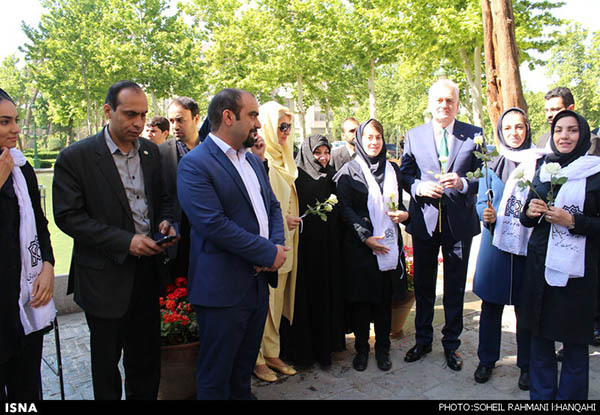 The day was commemorated in Tehran under the motto of “Each Tourist, an Ambassador of Peace.” In the ceremony held on the international day, white roses and a brochure of Iran’s tourist attractions were given to foreign tourists visiting Golestan Palace. According to UNESCO, the lavish Golestan Palace is a masterpiece of the Qajar era, embodying the successful integration of earlier Persian crafts and architecture with Western influences. The walled palace, one of the oldest groups of buildings in Tehran, became the seat of government of the Qajar family, which came into power in 1779 and made Tehran the capital of the country. Built around a garden featuring pools as well as planted areas, the Palace’s most characteristic features and rich ornaments date from the 19th century. It became a centre of Qajari arts and architecture, of which it is an outstanding example, and has remained a source of inspiration for Iranian artists and architects to this day. It represents a new style incorporating traditional Persian arts and crafts and elements of 18th century architecture and technology.